The Mercedes-Benz Airstream is a luxurious touring coach with the safety and performance you’d expect from a new Mercedes-Benz. With over 50 best-in-class standard features and configurable floorplans, the Airstream is as versatile as you need it to be. Learn more about the Airstream below and start traveling in style! Learn More About the Mercedes-Benz Airstream from Mercedes-Benz of Chandler! Do you have additional questions about the Airstream or other Mercedes-Benz vans? Contact us at Mercedes-Benz of Chandler to learn more! You’re also welcome to visit us near Gilbert and Tempe for one-on-one assistance and service. 0 comment(s) so far on What is Mercedes-Benz Airstream? 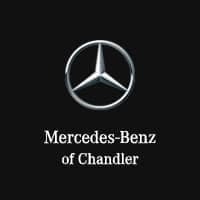 Mercedes-Benz of Chandler	33.3252004, -111.9700597.